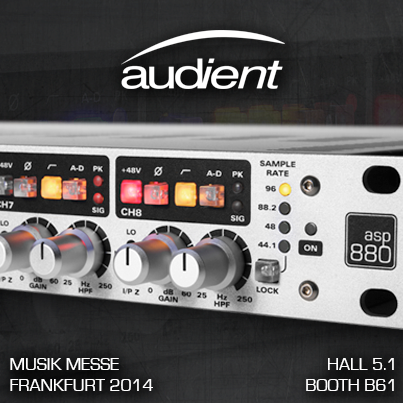 ASP880, Solid-State Pre-amp from Audient. 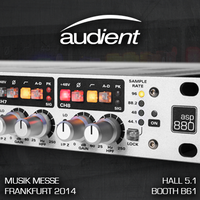 Audient announced on its website that a new ASP Series model will be introduced next week in Frankfurt. 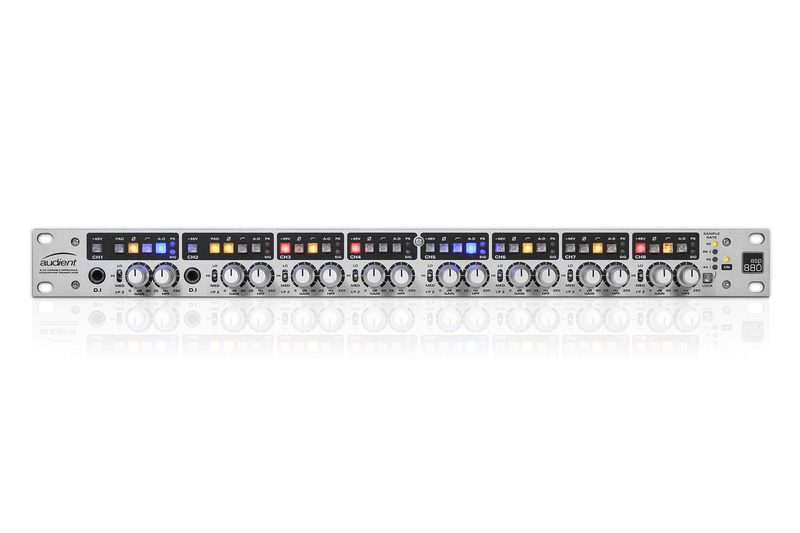 The ASP880 is an 8-channel module in rack format. 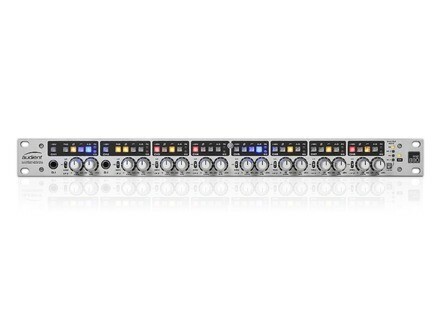 Each channel features dedicated phantom power switch, gain knob and variable high-pass filter, and you can choose between 44.1, 48, 88.2 and 96kHz sample rates. A new reverb for the TC System 6000 MKII TC Electronic adds to its System 6000 MKII a new multichannel reverb plug-in that can support systems of up to 62.2 surround channels. The Dangerous Compressor is available Dangerous Music confirms its announcement made last November and launches its new two-channel Compressor. New Unit Audio 16 x 2 summing mixer Unit Audio launched a new version of its Unit 16 x 2 compact summing boxes with panning option.